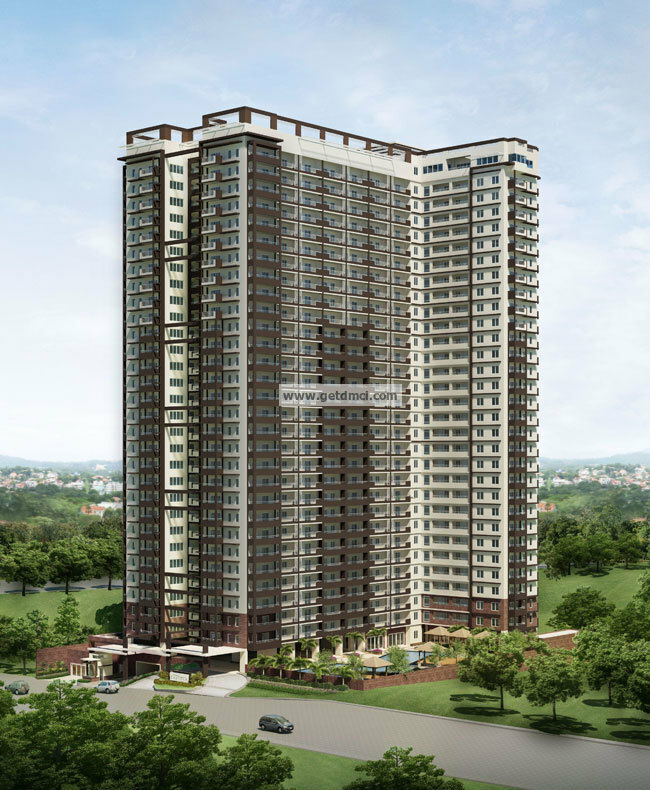 Construction of the 29-storey residential condominium One Castilla Place in Valencia Hills, Quezon City has made its way past its halfway mark as of October 2014 making developer DMCI Homes on schedule to complete the resort-themed community. The one tower development is taking shape 16 months after the project broke ground on a 5,452 square meter property along Castilla Street. 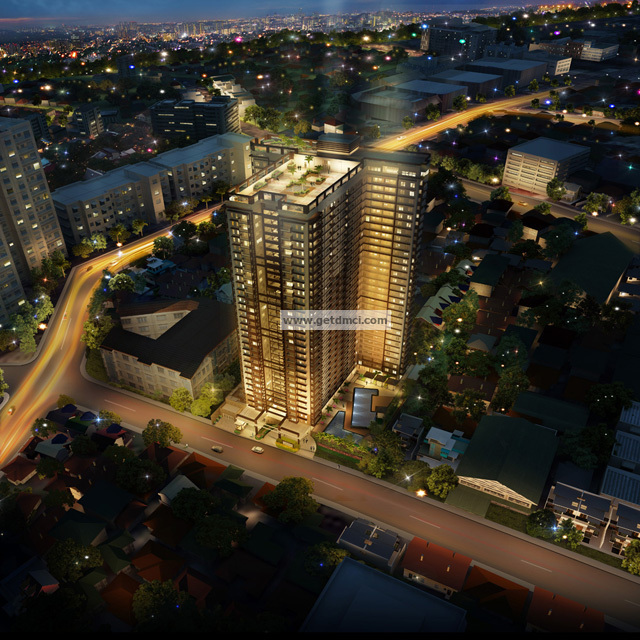 The progress reassures property investors that they can trust DMCI Homes in delivering the resort-inspired community on January 2016. 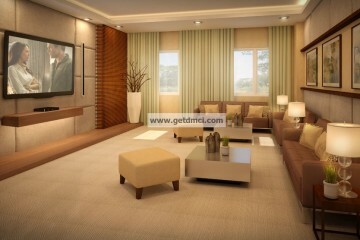 DMCI Homes also guarantees beautiful, functional and high quality homes. Each unit at One Castilla Place will be meticulously inspected and tested prior to delivery to homeowners to ensure that it meets quality standards and works in actual use. Upon turnover, owners even get a two-year limited warranty that covers most unit deliverables, except operable items subject to daily wear and tear such as faucets and door knobs, whereas other developers usually offer only a one-year warranty. 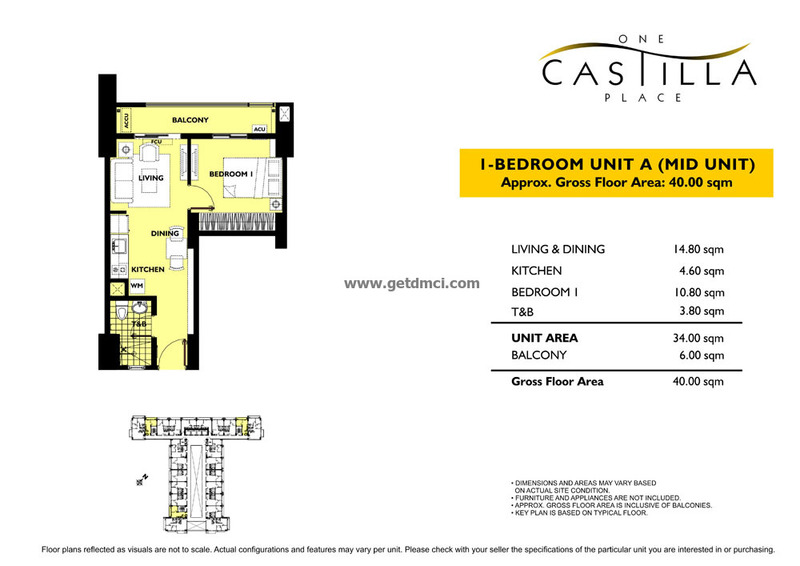 Once complete, One Castilla Place will be a residential landmark with first-rate features like well-planned unit layouts, nature-rich setting and a wide selection of resort-like amenities complemented by a premium location and value for money. It is an ideal choice for city living for young couples, start-up families and upwardly mobile professionals, who prefer a modern lifestyle, environment-friendly surroundings and a genteel community all in one setting. 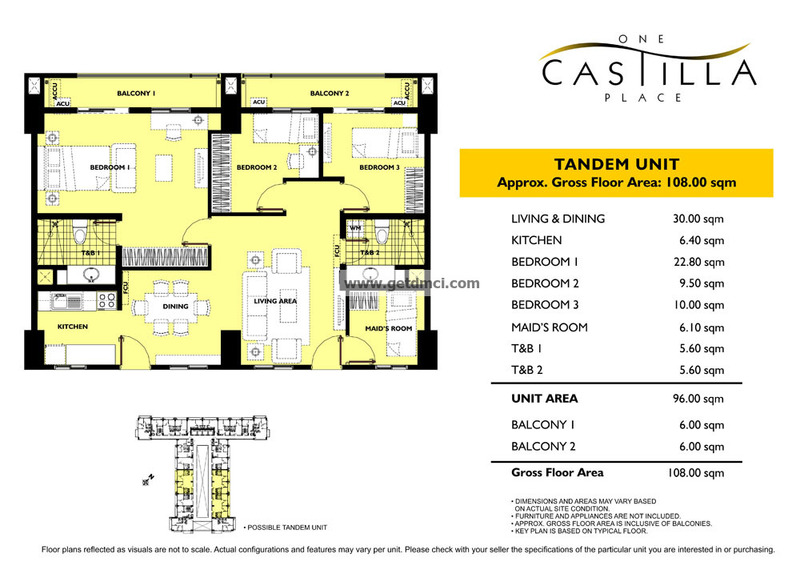 Within the T-shaped tower are single-loaded hallways, garden atriums and expansive breezeways that create more space for the residents to unwind after a busy day at work. Besides giving that outdoor ambience, the cramped feel is eliminated. 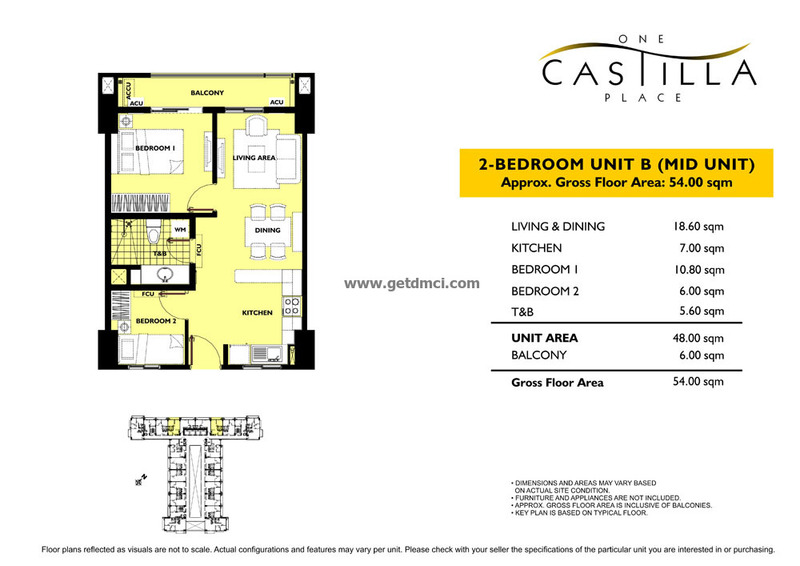 One-, two- and three-bedroom units are spacious, from 40 to 85 square meters. Windows by the door and bedrooms allow for cross ventilation of units. There is a balcony for a front-seat view of the city skyline and the community’s verdant landscapes. 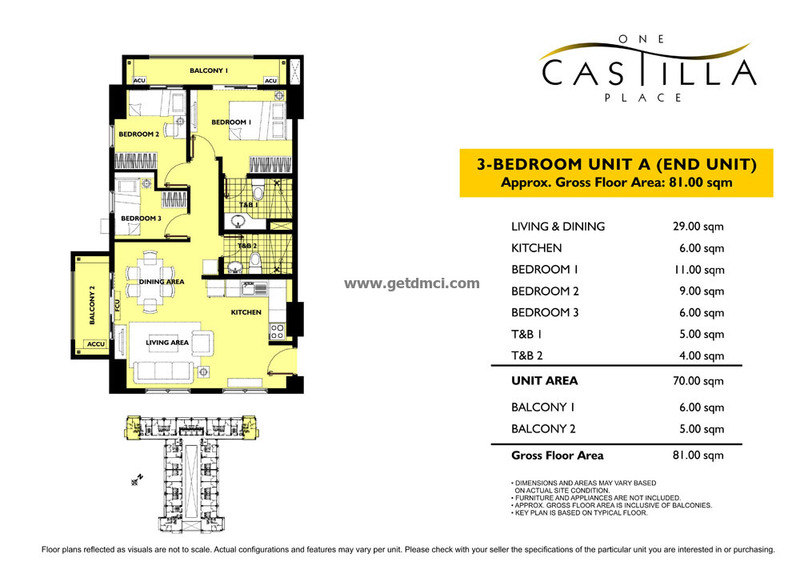 Unit doors open to a corridor and not to a neighboring unit, which is a common design in conventional condos. Every unit has provision for utility meters and cable connections, plus fire alarm and suppression systems. 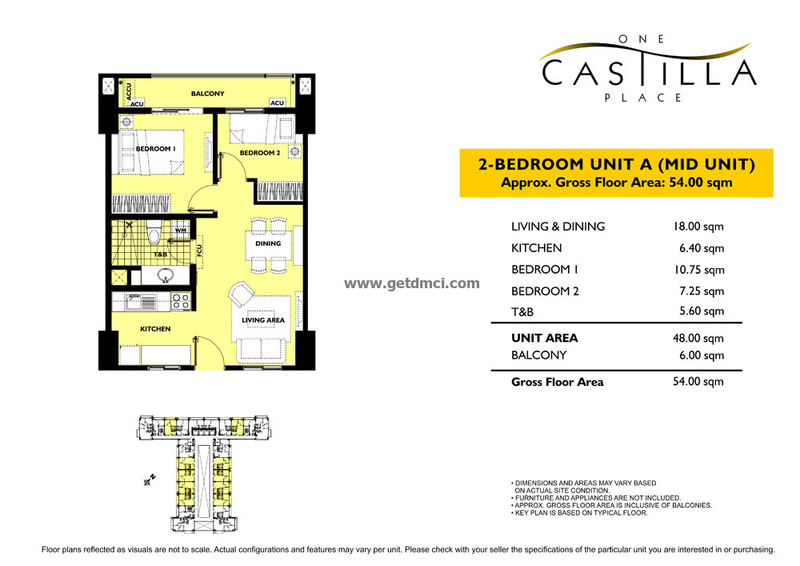 One Castilla Place promotes a modern and healthy lifestyle through its indoor and outdoor amenities. 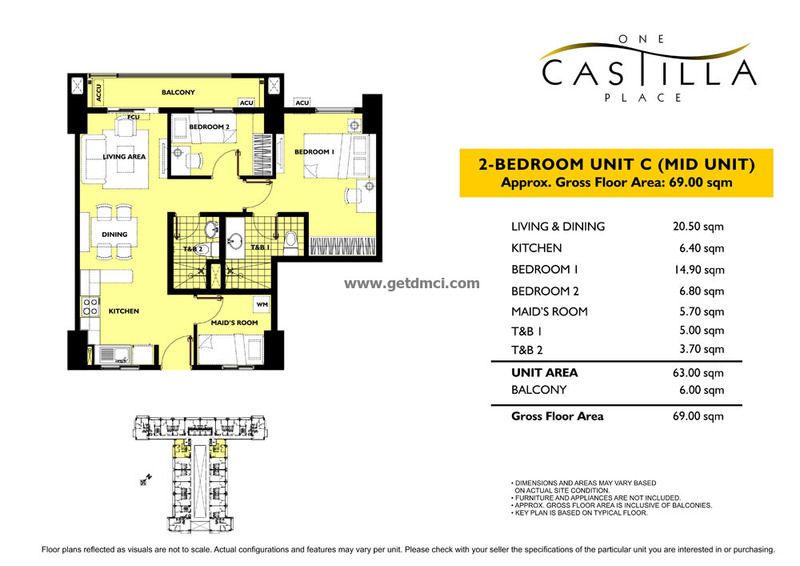 Residents will enjoy its hotel-like reception lobby, entertainment room, game room, fitness gym, swimming pools, Sky Lounge and Sky Park on the top floor that adds to the open spaces. Residents also get comfort and convenience from elevators, basement parking, standby emergency power, convenience store, laundry station, water refilling station and Property Management Office staff, who provide general maintenance of common areas and services to homeowners. Bolstering the safety and security of One Castilla Place are fire and smoke detection systems in the building, roving security guards and provisions for CCTV cameras covering common areas and major access points. Valencia Hills is a quiet and low-density residential neighborhood in Quezon City making One Castilla Place an urban sanctuary. 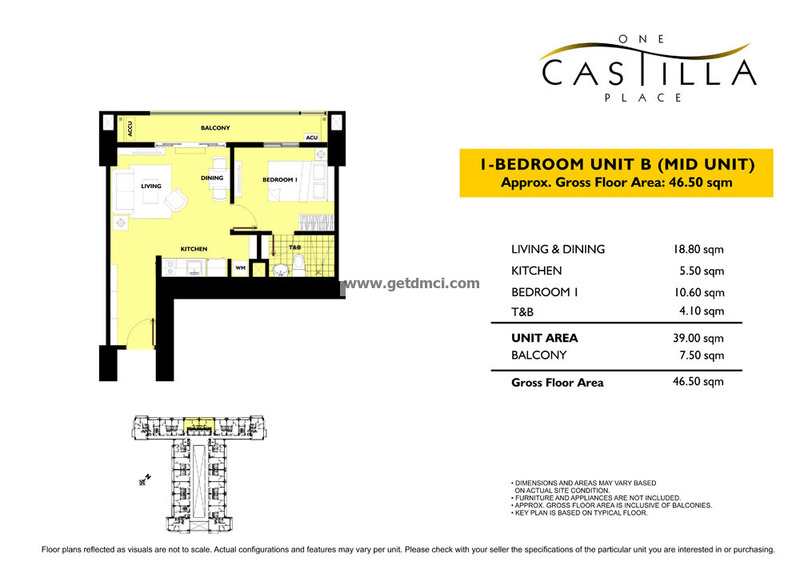 The location also gives residents easy access to major thoroughfares–N. 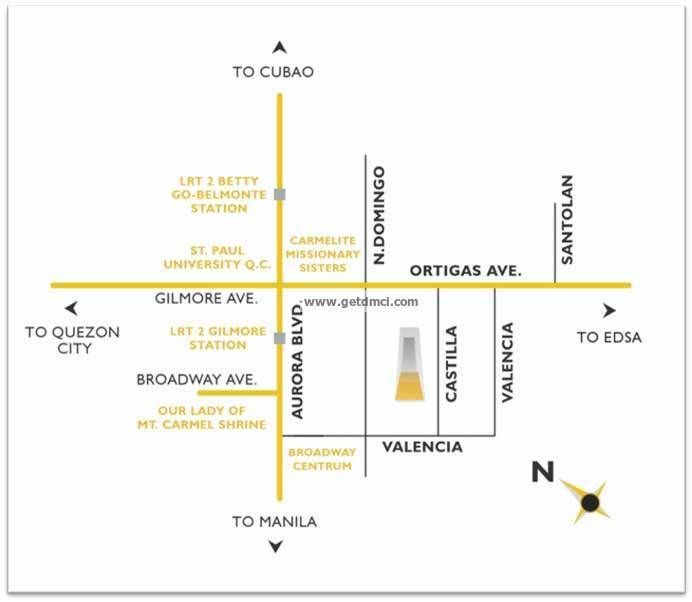 Domingo Street, Aurora Boulevard and Granada Street-Ortigas Avenue– schools, convenience stores, malls, hospitals and churches.